Predicting expansion is always a difficult task, some may say impossible. What Electron does is get you back to square one, to the days when you liked your Comm’s room and could see the wood for the trees. In this case the school had installed large floor standing units, but had only chosen 600mm wide cabinets. This size of cabinet has no vertical cable management for patch-leads, hence they hang in the front of all the panels/equipment. Over time this becomes unmanageable and turns into a large tangled mess. It is surprising to many, how much air flow the patchleads can block, heating up the equipment and causing port failure. Space is the solution when planning any work in a Comm’s room. Space for growth, patch leads and cooling is imperative. With a secure room, an open rack solution is far better for accessibility and managing heavily patched rooms. By creating more floor space it also helps keep your active equipment cooler, thus reducing port failures through excessive heat. Step 1. Tracing out and documenting of the existing patching system to build up a patching schedule. This also gives the client an up to date patching record. Step 2. 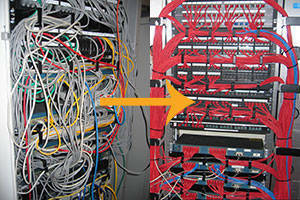 Removal of all existing patch leads, and equipment from the data cabinets. Next the horizontal patch panels and cables are removed followed by the data cabinets. Step 3. Chatsworth open racks ( pre-built) were placed into the room and secured to the floor and wall. Step 4. The horizontal cabling and patch panels were re- installed back into the racks followed by the active equipment.Shelves were installed for the router, fire wall and all the other accessory equipment. Step 5. 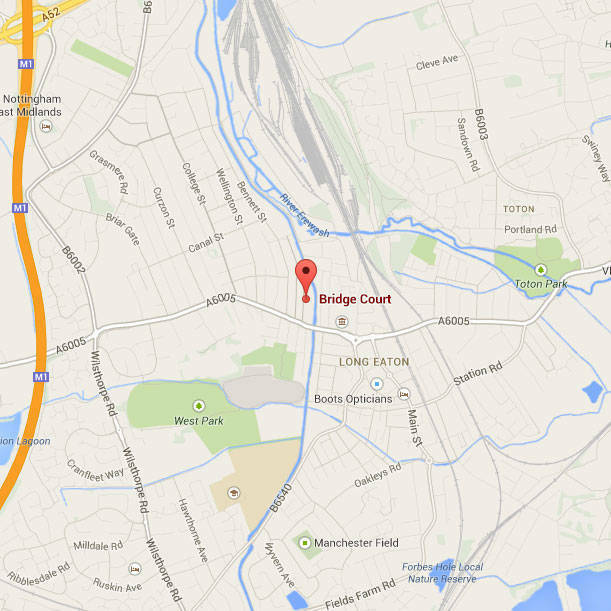 Finally, all services were patched back up in a more controlled and neatly managed way. It took an entire weekend to complete. 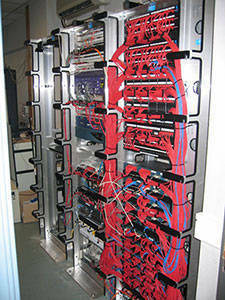 The client now has a Communications rack that he can easily manage, trace patchleads and re-patch circuits if required. It is easy to see how the Chatsworth Rack’s vertical cable management keeps the patchleads tidy, not only on completion but also into the future.